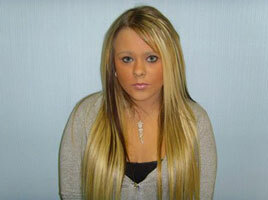 Hair Extensions Mansfield - Find out how gorgeous hollywood hair makes you feel in Mansfield! 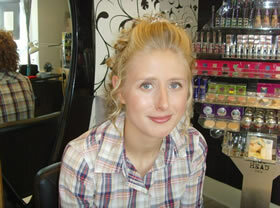 New Shades supplies and specialises in Hair Extensions, Braids and Colour Correction in their BRAND NEW Salon! We are a fully qualified, hard working and experienced team of Hairdressers and Aromatherapists, trained to bring you the highest quality and most enjoyable services. We cover all areas of Hairdressing for both male and female clients, specialising in Hair Extensions, Braids and Colour Correction. We also sell a lot of the products we use, including our top quality Hair Extensions. Our Hair Extensions come in a variety of colours, from the deepest of black to the very lightest of blondes and everything in between. We often get asked about our Hair Extensions, so we have decided to put some information online for you to read. The following tells you more about how New Shades Hair Extensions can help you achieve a new look and the process off applying and maintaining your extensions. It is every womans dream to have a full head of amazingly shiny, luxuriously soft hair. We all enjoy that special feeling, we know we look gorgeous and so we feel gorgeous too! Hair Extensions can make your dreams come true... with the help of our trained specialists and top quality, 100% human hair extensions, you can be and feel as beautiful as the biggest names in Hollywood. We pride ourselves in making all our clients look and feel fabulous with our top quality service and friendly approach to Hairdressing. Do you want thicker, shiny, Hollywood hair? Do you want to stand out amongst your friends? Do you want the latest trendy look? Get the WOW! Factor now! It doesn't matter whether you have fine hair, long hair, short hair, curly hair, straight hair, coloured hair or thick hair, Hair Extensions can work for you and can make you look years younger! Want long, flowing locks? What are you waiting for? Visit New Shades today! professional image for modelling/corporate work: make your wedding day be the beautiful day you always imaged with the perfect hair, make up and dress to die for: add high lights or low lights to your natural colour without having to use a harsh lightening product on your own hair. New Shades Hair Extensions are 100% human hair of the higest quality. With precision application using a method of individually bonding the heair using hot glue or pre glued bonds, your Hair Extensions will look natural and fabulous! All the Hollywood stars are using this method and with quality aftercare you can have that amazingly natural look for a long time! The Hollywood girls look 100% natural and so could you! For Pictures of our magnificant work please have a look around our site and you'll see what we could do for you! We are happy to announce that although all the Hollywood stars are using this method, but you needn't pay Hollywood prices. The starting price for our human hair extensions can be as little as £150.00! We can now offer our services to Brides and Brides maids and various other packages are available too. Please see our Groups page for more detail. For extensions that look absolutely stunning AND last, what are you waiting for? Call New Shades Hair Salon today on 01623 626682 or 07979730809 for a FREE consultation!